Click the button below to add the Orange Marmalade No Sugar Added to your wish list. The fruit tastes so fresh in these no sugar added jams. Straight orange peel make this extremely tart for those with a tart taste bud! 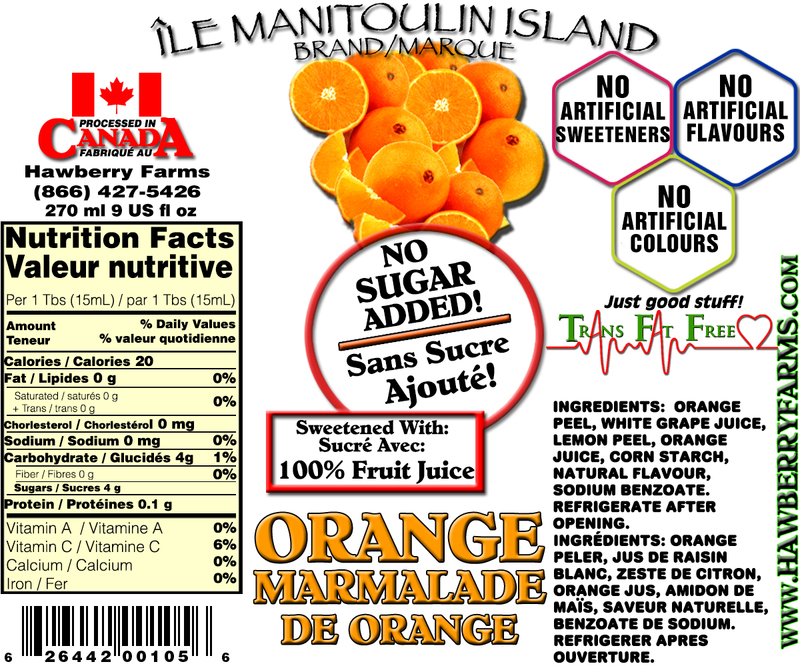 Ingredients: Orange peel, white grape juice, lemon peel, orange juice, corn starch, natural flavour, sodium benzoate. Nice flavour. Less gelled than regular marmalade. Needs getting used to, knowing it's a better choice. Best Marmelade I've ever tasted! Better than any Marmelade I've ever purchased in the store. Great flavour and hardly any sugar. That's why I'll keep on ordering it.